By Ella Davies | Reporter, BBC Nature. BBC Nature News. By scaling up the digestive wind of horses, they estimate that the total population of dinosaurs, produced 520 million tonnes of gas annually. 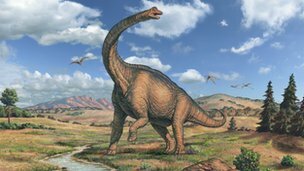 Sauropods, such as Apatosaurus louise(formerly known as Brontosaurus), were super-sized land animals that grazed on vegetation during the Mesozoic Era. Their calculations considered the dinosaurs’ estimated total population and used a scale that links biomass to methane output for horses. “Cows today produce something like 50-100 [million tonnes] per year. 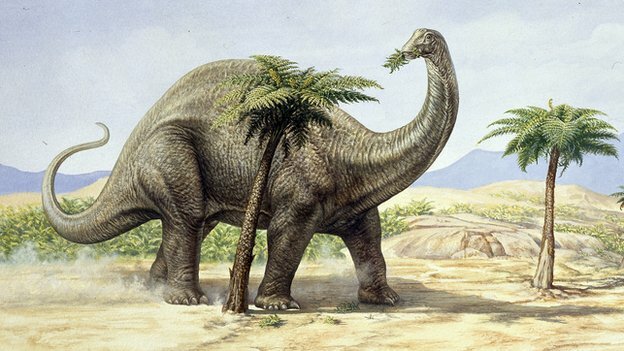 Our best estimate for Sauropods is around 520 [million tonnes],” said Dr Wilkinson. Current methane emissions amount to around 500 million tonnes a year from a combination of natural sources, such as wild animals, and human activities including dairy and meat production.